Have you ever heard about the preacher in blue jeans? The VIP (Very Inspirational Person) who delivers speeches from his heart, speaking from his feelings and experiences since at the young age of 13?Â Or perhaps, youâ€™ve read one of his bestselling books, magazines or had subscribed in his blogs and received daily e-mail from his community? Alas! You might know him. His name is Eugenio Isabelo Tomas Reyes Sanchez Jr., but people recognized him more as Bro. Bo Sanchez. Â Sparing some time in reading his works makes you get know him more and his genuine life. At the early age of 12, Bo started to attend his first prayer meeting and gave his first talk to most of his family members. An elder then who asked him to give the talk, prophesied that Bo will preach to thousands. And at 13 years old he was already serving in religious ministries and giving talks to prayer groups of adults.Â Not too long after, Bo started to become an inspiration to thousands of people in the world. Today, Bo Sanchez is admired as a motivational author, a national bestselling author of over 30 bestselling books, preacher, influential Catholic lay evangelist, leader and entrepreneur. He has his weekly TV show, a daily radio program on Radio Veritas, and a daily Internet TV Show called www.preacherinbluejeans.com. He was also awarded the Ten Outstanding Young Men (TOYM) for 2006, received a Serviam Award (the highest award of the Catholic Mass Media Awards) in 2007, as well as a Golden Gavel Awardee by the Toastmasters International, the highest award given to non-Toastmasters for public speakers. As a powerful motivational speaker who has spoken in 14 countries, including 38 cities in North America, he continued to shed light as founder of many communities in and outside the Philippines. One of those organizations he founded is the Light of Jesus Community.Â It was organized by the Sanchezâ€™s as their own prayer group on 1980 with Bo leading the meeting until regular attendees of the prayer meetings formed the Core Family of what was then called the Light of Jesus Community. 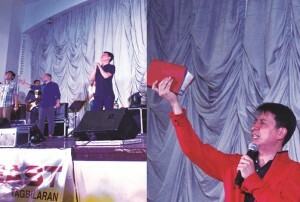 The community supported various ministries of Bo, such as the Shepherdâ€™s Voice Publications Inc. that publishes its best inspirational magazine, Kerygma â€“ which means proclamation of the gospel. It also has supported for its Mercy Ministry, the Anawim Lay Missions Foundation which was established by Bo as home for abandoned elderly and shelter for women in crisis while LOJ also partnered with many home- livelihood programs. And just this April 22, 2016 at the Bohol Cultural Center â€“ the preacher in the blue jeans himself, Bro. Bo Sanchez was spotted delivering an inspiration to hundred of participants who came to witness the 7th anniversary of The Feast â€“ Tagbilaran. Â Change your friends, change your life. Hang out with the VIPâ€™s! (Very Inspirational People) â€“ Bo Sanchez. That was one of Boâ€™s messages which amaze everyone who have conquered â€œone of the happiest places on earth.â€ He prayed over and with the hundreds of participants in the city and brings the crowd to a magical and spiritual connection to God. Bo shares how to elevate a clearer vision to who one wants to become 5 years from now? Who do you like to become? You are the one who decides who youâ€™d like to be. You decide on how much God wants to bless you with specific dreams in the mind and He would lead your way. The choices of people you hang out with are likely to be who you are.Â Then your group of friends who you hang out with must fit to the goals and the vision of who you wanted to become. Bo also shared how to deposit VIPâ€™s to oneâ€™s life; that there may be some friends who will drain us but we must not, instead we have love as how God loves all of us. Thus, keep the balance. There are just three ways to connect your life to them. First is through direct connection (communicating with them through coffee dates). Second is through indirect connection. (You might not sight them but reading their works will make you likely as who you aspire to become.) Third is through Spiritual Connections and it is through prayers. Bo even shared random stories that these steps had to do in his life. â€œA lot of people also indirectly connect with me. Thatâ€™s why when Iâ€™m walking in the mall, I remembered this one woman who approached me and she said â€œBro. Bo!â€ and she starts crying, hugging me and you know she wets my shirt with her tears and whatever kinds of liquids that were going out her body. And she was just crying, she was just telling me over and over again, â€œYou changed my life! You changed my life! You change my life!â€, and you know Iâ€™ve never seen her before but there she was saying that.â€ Bo preached. â€œThere are just crazy things that happened with me when I walk to the mall, sometimes they would sneak out and then they will touch me and ran… What can you do? I feel like a statue. I donâ€™t know them but in indirect connection, it inspires people, and it changes their lives.â€Â He added. At the end of his preach, he sighted that saints are the most inspiring people. He prayed for VIPs to come in our lives and together Bo leaded everybody to a very powerful prayer and reflection. At the near end of the worship Bo expressed his gratitude of how Bohol and the Boholano Catholics who are members of the Light of Jesus Family pushed for The Feast – Tagbilaran. 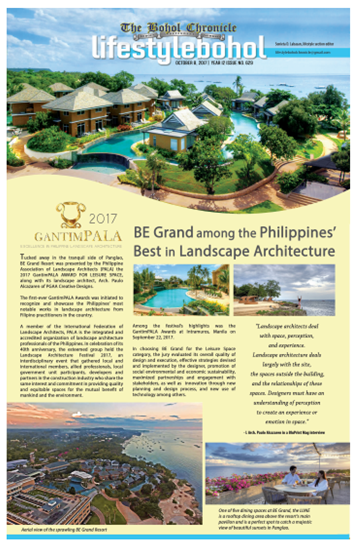 In an interview with The Feast â€“ Tagbilaran, they shared that The Feast has been going on in the city since April 2009 in different venues. They also added that it was supposed to be held every Saturdays but they decided to change it to Fridays so the attendees will have the chance to go home to their respected towns during Saturdays.